What Should a Real Estate Broker Say (And Not Say!) When Peospecting FSBOs? Not everybody has what it takes to be a real estate broker: Most FSBOs (For Sale by the Owner) turn to professionals sooner or later to speed up the sale of their property. Websites like DuProprio tell sellers that they could profit from handling the sale of their homes themselves (without agent or commission), prompting more and more people to play real estate brokers. Most of the time, they realize afterwards that they have neither the energy nor the time nor the resources for such thing. Real estate brokers are often tempted to woo FSBOs, but these are not easy to convince. On the contrary, most are wary of real estate brokers, sometimes even aggressive towards them. How can you persuade them to hire you? There is no magic formula, but let’s see which clichés must be avoided and what you can say instead. This article is based on 4 Things You Should Never Say When Prospecting FSBOs, published on Inman . Are you trying to challenge them? This sentence could be perceived by customers as a sign of arrogance and even strengthen their position. Ask instead: “What made you decide to sell your house by yourself?” Most FSBOs do not like real estate brokers, so it’s up to you to gain their trust by proving yourself to be a good listener. You know how stressful selling a property can be. Clients need to confide, to share their fears and apprehensions. Communication requires that you sometimes stay quiet and listen. Besides, what is better than a committed client? Someone proud of his home and neighborhood will pass on his passion! FSBOs do not have your market knowledge, nor do they have access to the same tools as you. It is very possible that the photos they posted on their Kijiji ad make you wince, or that you disagree with their promotional methods. Ask instead: “What are the best features of your home?” You will then have the opportunity to prove your marketing skills, not your opinion. Of course, you have to be honest—but tactfully. If you think your clients’ strategy may backfire, explain why. Since they have lived on their property for several years, FSBOs struggle with objectivity. They might be unaware of some of the house’s weaknesses, or have no idea what competition looks like. Always refrain from making judgmental comments that might offend them. Instead of making a negative remark about the living room’s canary-yellow walls, for example, explain why white paint will attract more customers. What a generic thing to say. Instead of making such a blank statement, prove your point! Ask instead: “What do you expect from your real estate broker?” That way, you will be able to allay their concerns and explain how your skills meet their criteria. To explain how your job works and what sets you apart from other real estate brokers, choose your words carefully. Your clients do not speak real estate jargon, so express yourself in everyday language to avoid intimidating, confusing or annoying them. Also, resist the temptation to list your achievements and rewards. Instead, simply explain how they can benefit from your services. Think figures. Are you a born negotiator? In this case, In this case, from your track record, state your average percentage above the listing price. Do your properties sell faster? If so, say by how many days on average. There is evidence that some words have more power than others: You, value, economy, money, now, proof, result, simple, consensus, imagine, opportunity… Learn them and incorporate them into your sales pitch. Woah! This is sure to hurt your prospect’s ego. Say, “How did you determine the selling price of your house?” That way, you will be able to understand their strategy, with its goals and objections. 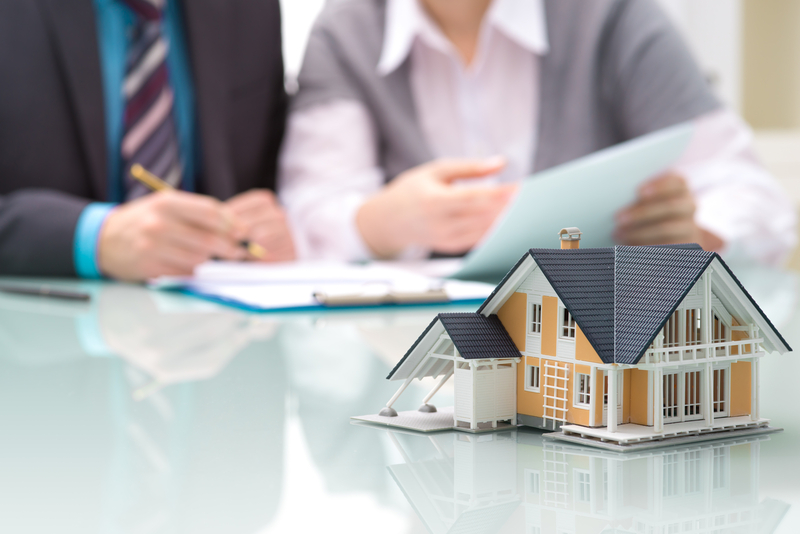 Most FSBOs have difficulty determining the price at which they should sell their home because they are poorly counselled and exposed to a series of beliefs. Many believe, for example, that they should ask for a higher price because an interested buyer will invariably want to negotiate the lowest price possible anyway. In reality, this method dissuades prospects from bidding: Most won’t even bother visiting the house! On the other hand, many FSBOs underestimate the value of their home or, eager to sell it, drastically lowers its price. A real estate broker is a valuable ally to sell a house. By watching your words, you should manage to convince even the most dissident FSBOs. Happy selling! What Steps Should a Real Estate Broker Take to Ensure the Success of an Open House? Online Advertising for Real Estate Brokers: Who Wins, Facebook Ads or Google AdWords? Real Estate Brokers: Do You Pay Too Much for the Services of Your Real Estate Photographer?